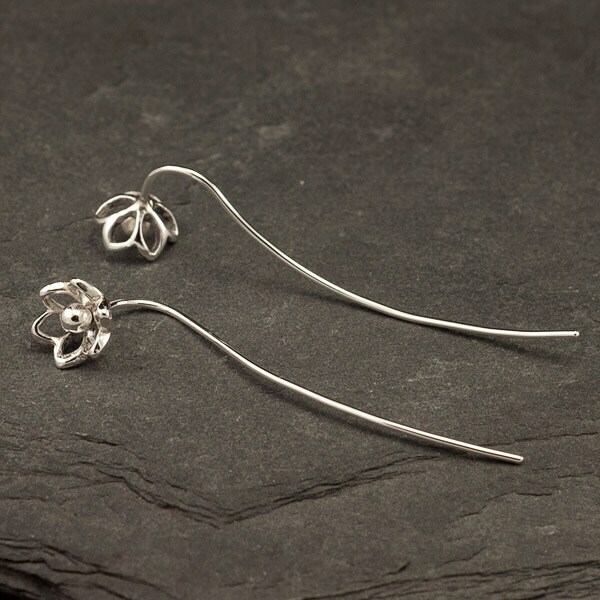 These sterling silver earrings were inspired by long stem flowers. 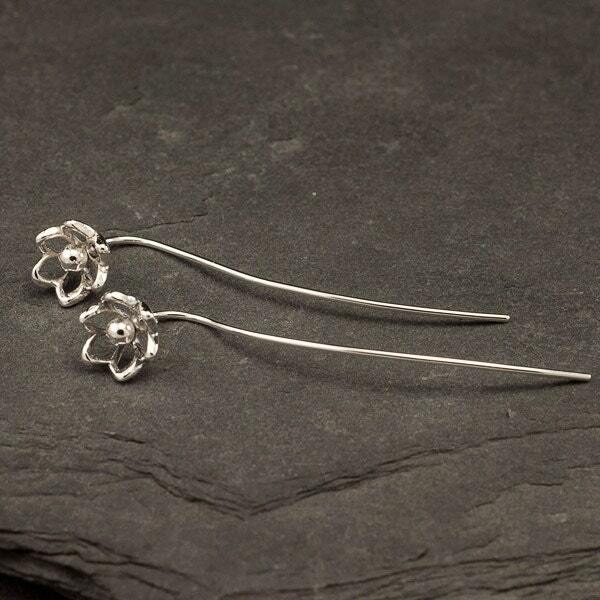 These flower earrings dangle gracefully from the ear in the Threader Earring style. 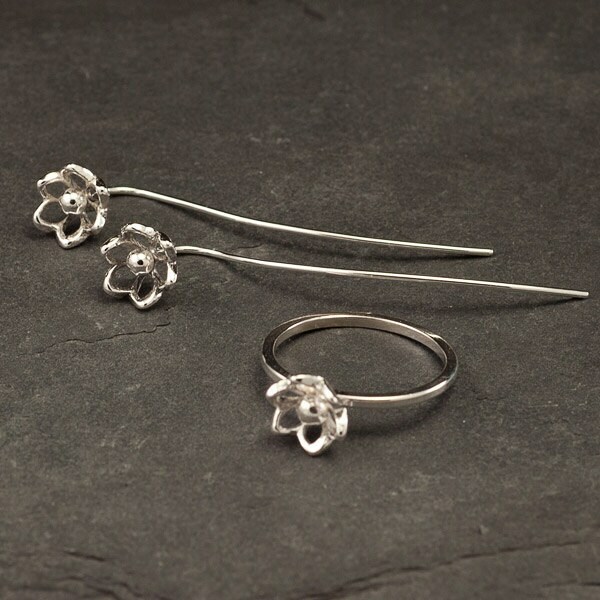 Add the matching flower ring to make it a set for the perfect gift! 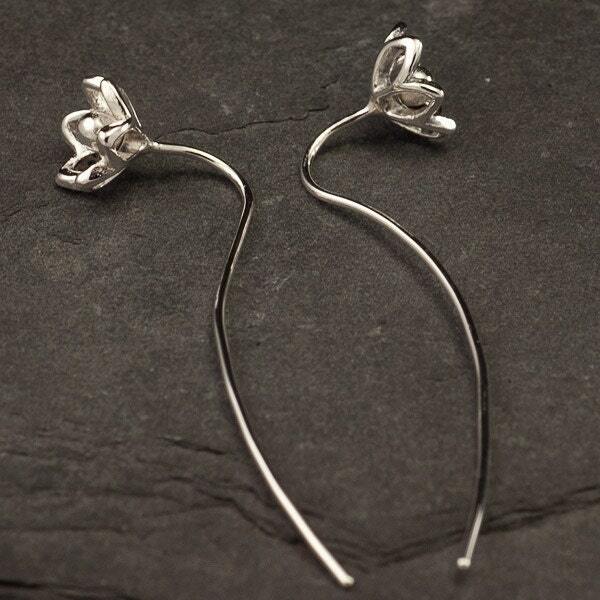 Ear wires are made of high quality Argentium sterling silver, so even people who have allergic reactions to the copper in standard sterling silver can comfortably wear these. Earring length is approximately 2"
Earrings will arrive beautifully gift-wrapped. I love these! The picture doesn’t do them justice. They look really nice on! Suuuuuper cute! Light and fun and elegant all at the same time. I love them!! !